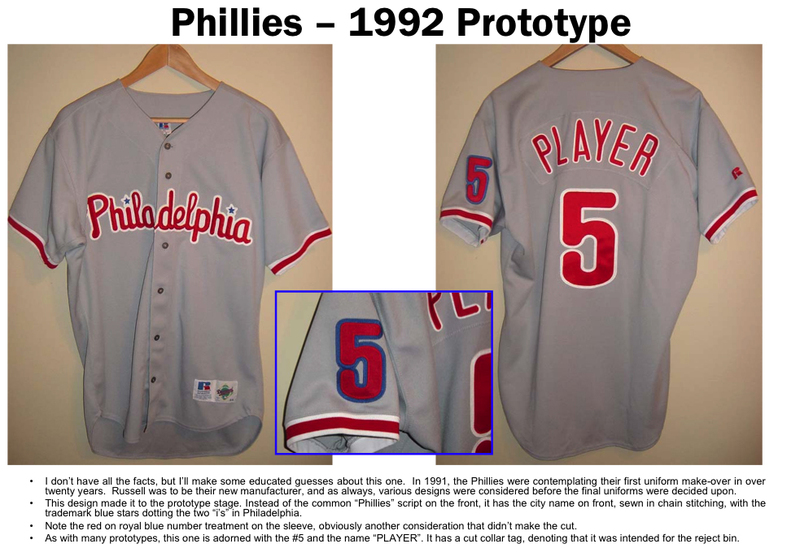 It's something that is long overdue, that is putting "Philadelphia" on the front of a Phillies jersey. Most recently in the Uniwatch column on ESPN.com, (which I am an avid reader of that column) Paul Lucas wrote a great piece on the teams in the MLB that either don't have their city or state name on the front of a jersey. Check out the article here. The Phillies aren't the only team not to do this, thinking about it though I really like to see the road teams that come into Philadelphia to wear the city logo. Teams like the Mets use their 'New York' logo, the Dodgers wear their 'Los Angeles' logo jersey when they come to town, you have to wonder why the Phillies have never done this? Teams mentioned in the article were the Angels, and Brewers among others. I do remember the Angels having 'Anaheim' on a jersey some years ago, but since they call themselves the Los Angeles Angels in the past few years...nothing. The Phils are playing their afternoon matinee against the Marlins, they are a suddenly somewhat respectable 10-9 on the season as they get ready to head west to face the Dodgers.